Complimentary gift wrapping is available for this product. Just as a professional chef sources their ingredients from different regions, Batch utilise a similar process when crafting their impressive tableware. Designed and made in Sydney by Joy Smithers, the clay, the glazing and the firing temperatures are all carefully selected to create unique tabletop pieces that are brimming with character and originality. Serve up your culinary creations in style with Batch’s Peasant Bowl. 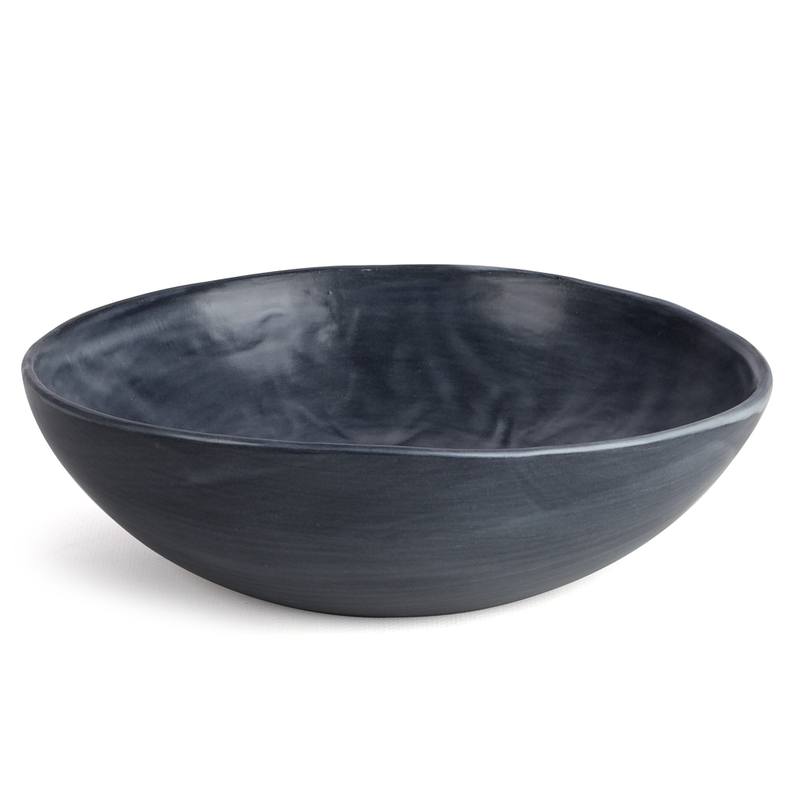 Handcrafted from clay, this large tableware piece boasts an organic form and a sleek glaze, and because of the handmade nature, no two Peasant Bowls are alike. Available in a range of colours, mix and match with other piece in Batch’s diverse collection of tableware to dazzle your guests at your next dinner party. Please Note: Because each Batch tableware piece is crafted by hand, your item may vary slightly from the images above. Dimensions: Approx. 6.5cm (h) x 23cm (w).